After decades of volunteering with international non-profits as a reconstructive surgeon, Dr. Kaveh Alizadeh realized something: performing surgery in underdeveloped countries was only a stopgap measure against a bigger problem. Each year, Dr. Alizadeh would return to the same communities and find that nothing had changed to increase medical capacity there, and that local doctors were still either in short supply or didn’t have the requisite knowledge to heal patients. He realized that the problem called for a different kind of humanitarian project. That project was Mission: Restore, a humanitarian effort to build local capacity and medical knowledge in countries such resources and expertise are scarce. But while Dr. Alizadeh knew how to perform the necessary procedures, he wasn’t sure how to effectively and systematically transfer that knowledge to others internationally. That’s why he hired Karina Nagin, ‘11SIPA, as Mission: Restore’s Executive Director to help build the infrastructure necessary to effectively train surgeons abroad. Nagin says she was drawn to the project because her experience at the Clinton Global Initiative showed her that capacity building is a key part of global development. But she was also interested because she “was unaware that access to safe surgical care, was such a huge issue within global health. Here was this huge need and no one was really talking about it. I liked the challenge.” Nagin used her Columbia education and considerable international experience to support networks that would facilitate training, knowledge sharing, and consultation between doctors and surgeons around the world. 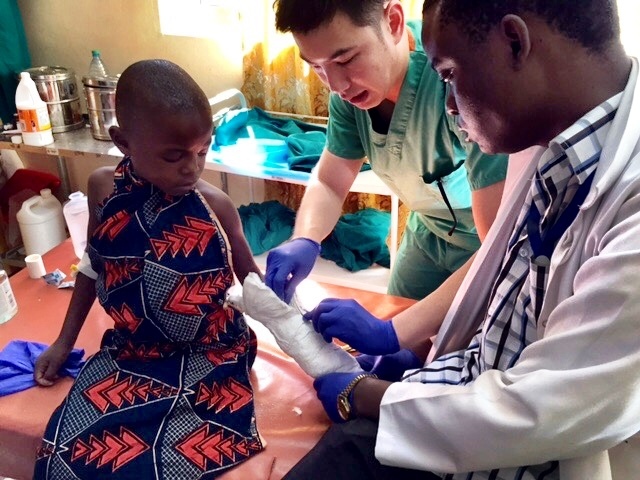 From holding in-person training sessions with young medical practitioners, to providing consultations via videoconferencing, to hosting regional events that bring experts from across Africa together to share knowledge, Mission: Restore is fighting on multiple fronts to empower the next generation of surgeons. Nagin says it’s extremely rewarding to see so many doctors who “are young and incredibly dedicated to their communities” begin to take control of a medical infrastructure that badly needs their help.